It is Monday. Have you done your meal plan for the week? All you need to do is commit to planning your dinners for one week. Small chunks. Don’t feel like you have to meal plan for the entire month. 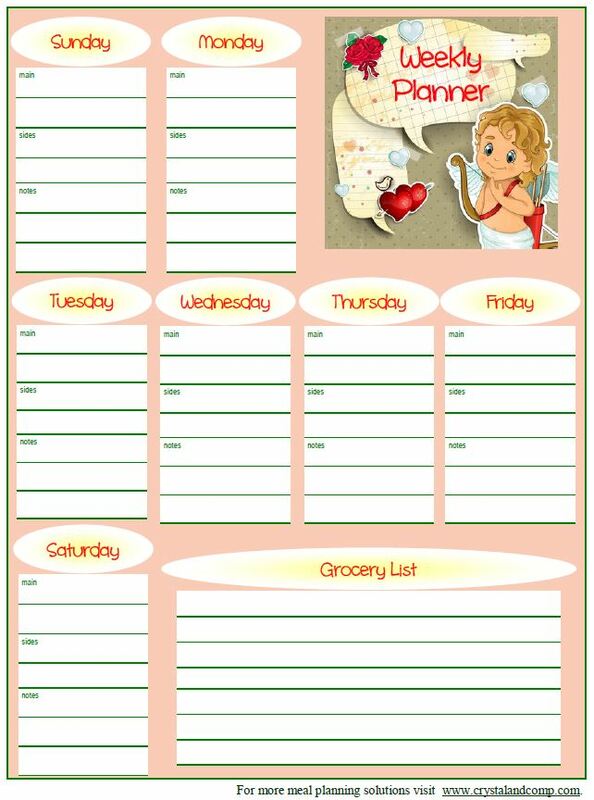 Print out this February Free Printable Meal Planner and map out what the next 7 days. I like to allow a day for leftovers and one day for us to eat out so I am only meal planning for five days. That is manageable for me. Today I made my trip to Target and my trip to Trader Joe’s to get my dinner supplies for the week. What about you? Want a different designed meal planner? Check out all of my free printable meal planners with seasonal designs and themes. Thanks for sharing this printable. I like how it has a space for groceries you might need. I plan our menu every week – it is a real time saver for a busy mom. I like the space to start a grocery list too. It is so handy to keep track of things as you run out.